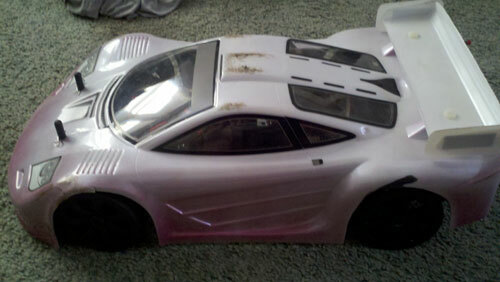 Here are a few pictures of the used Ofna DM1 Spec Electric 1/8 scale sedan I purchase through RCTECH. 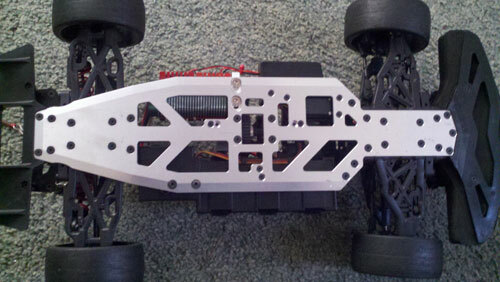 I will be getting roller with 2 bodies, hitec servo, extra spur gears, and belted tires. The Mamba Monster and Castle motor is will not be included. 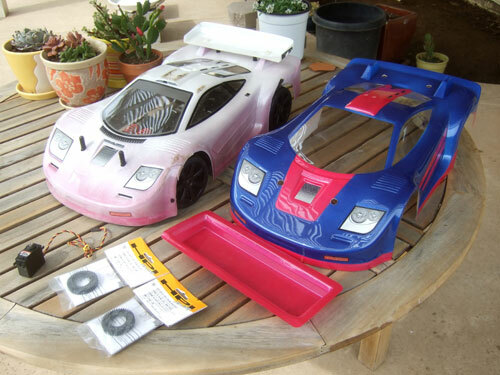 These pictures were taken by the seller. 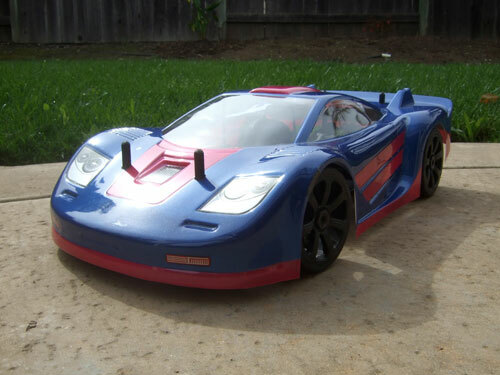 Once I get the car in the mail I will include some new pictures. 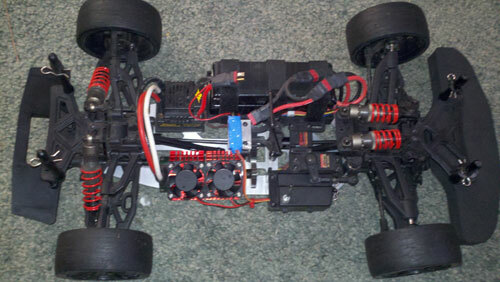 I got everything as the rctech seller promised but he failed to tell me that the Hitech servo is defective. 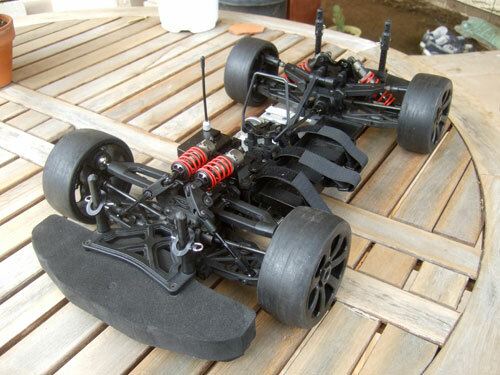 I guess the HPI spur gear work with this car since those are the gears he is using. Over all the car is in pretty good condition. 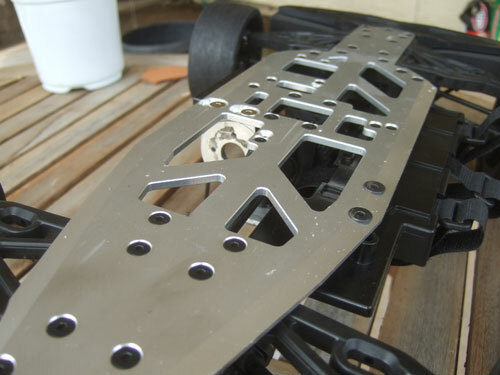 I was amazed on how clean the bottom of the chassis looked because after one run out side on the street I had more scratches than when I got it. 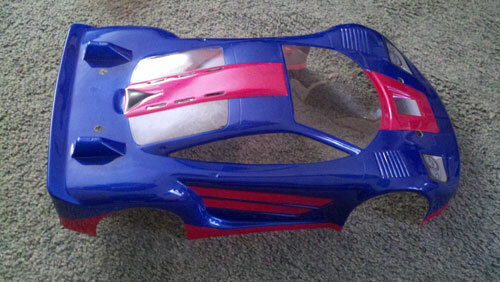 Here is the brand new body it came with, I still need to mount the wing on the back.